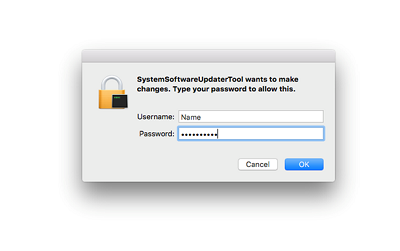 Unless stated otherwise, the file listed below must be installed BEFORE the System software Ver.1.02 for FDR-AX53 (Mac) in order for it to work properly. If more than one Required file is listed, install them in the order presented on this page. 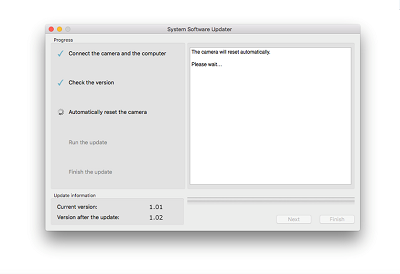 The system software update takes approximately 20 minutes, therefore prevent your computer from going into sleeping mode. 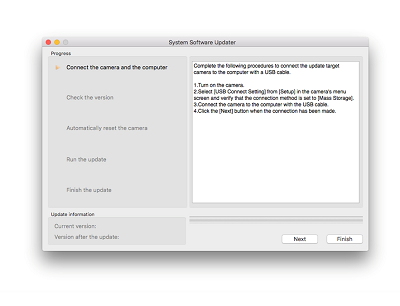 In case the computer would go into sleeping mode and the update would be interrupted, redo the complete update process fromthe start. The download of the [Update_FDR-AX53V102.dmg] file will start. 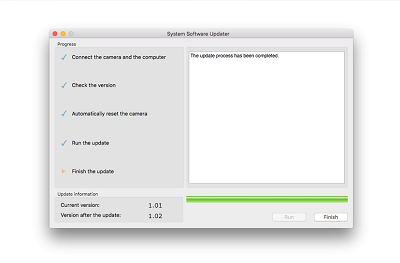 Once the file has downloaded successfully, you're ready to install the system software update Ver.1.02 for FDR-AX53. 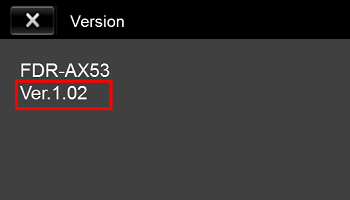 Double-click the [Update_FDR-AX53V102.dmg] file you downloaded. Do not connect the camera at this point. 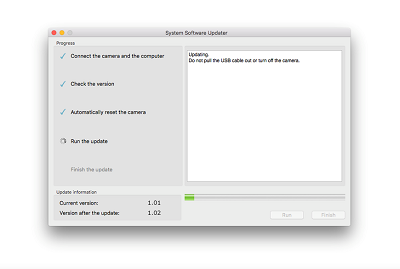 According to the instruction on the System Software Updater window, select [Menu] - [Setup] - [Connection] - [USB Connect Setting] on the camera, and check if Mass Storage is selected. 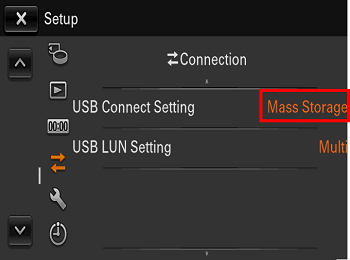 If another mode than [MassStorage] is selected, select [Mass Storage]. 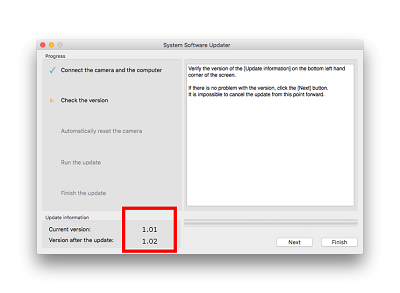 After confirming [Current version] is "Ver.1.01 or earlier", click [Next]. 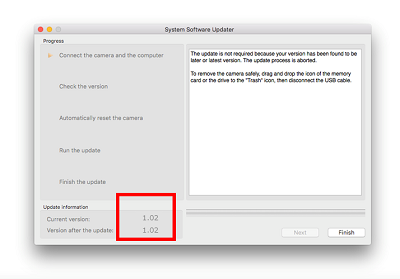 If [Current version] is [Ver.1.02], the upgrade is not required. According to the message, stop the USB connection and click [Finish]. Turn off the camera, remove the battery pack or the AC adaptor, and then turn on the camera again.